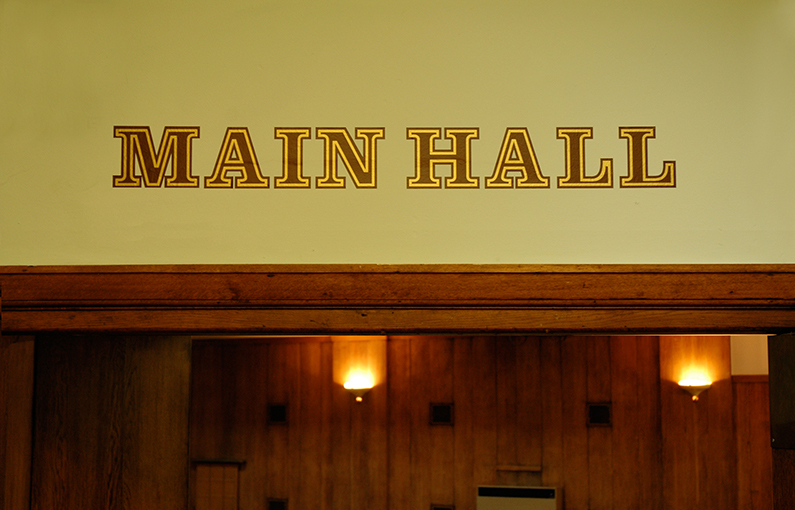 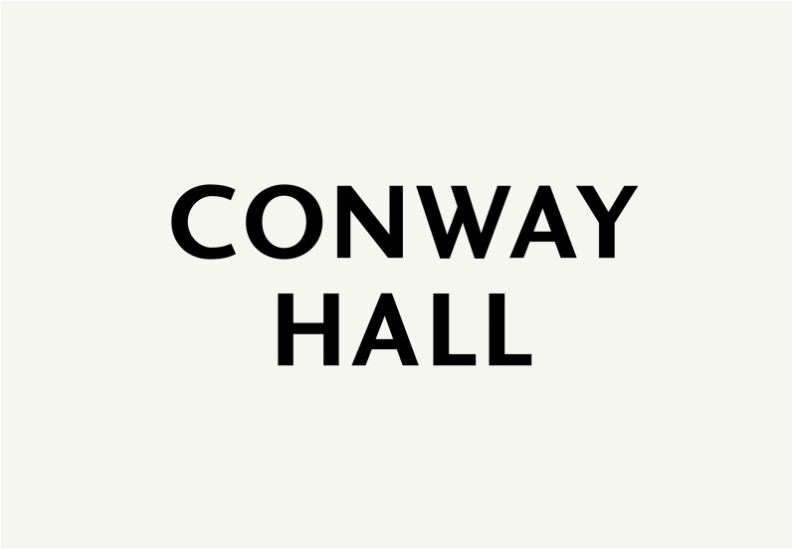 Conway Hall is the 'home of humanism' and a landmark of London's intellectual, political, and cultural life housed in an historic building in Red Lion Square. 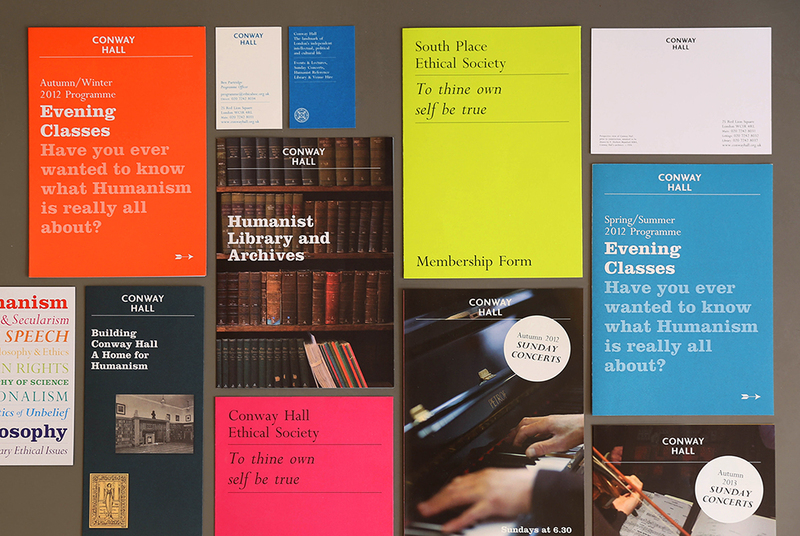 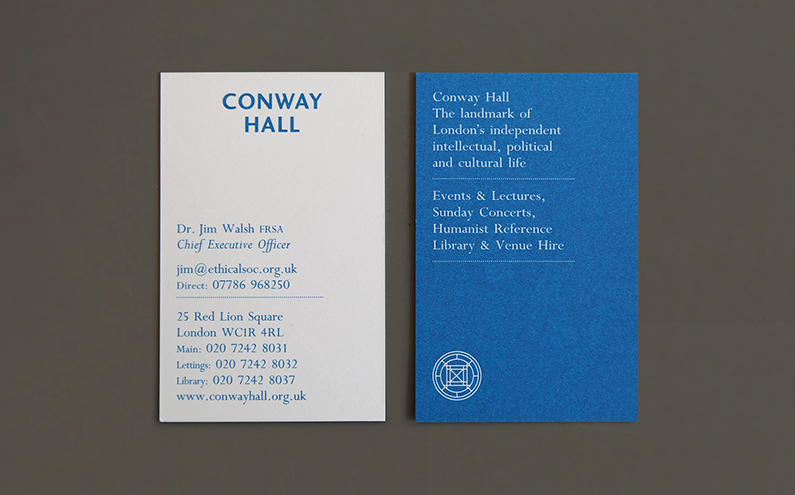 I updated the identity for Conway Hall and developed a new house style for all their communications and internal signage. 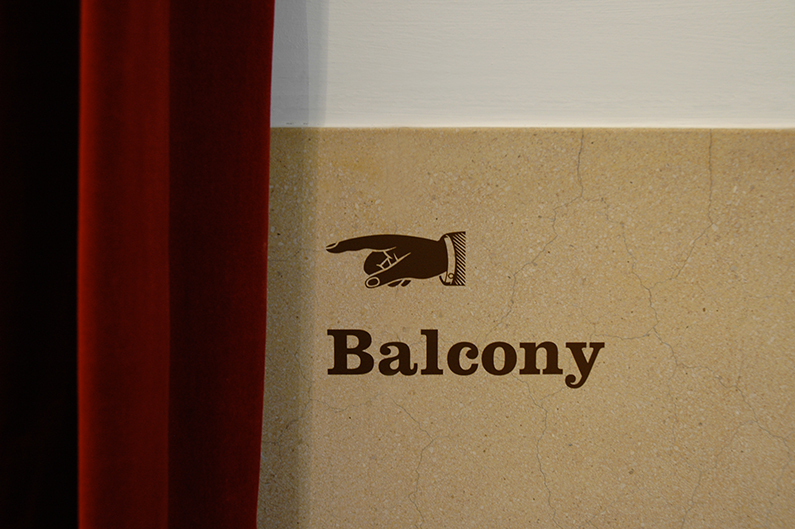 The new logotype features a re-drawn version of the original lettering featured on the building's exterior. 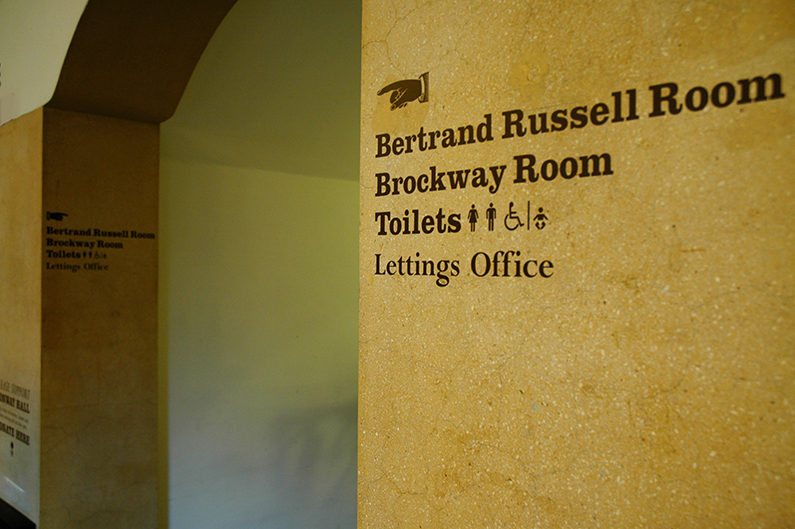 The identity also makes use of British typefaces Clarendon and Perpetua in keeping with the style and date of the building.